How to Win What You Can’t Afford! Are you New to SweetiesSweeps.com? 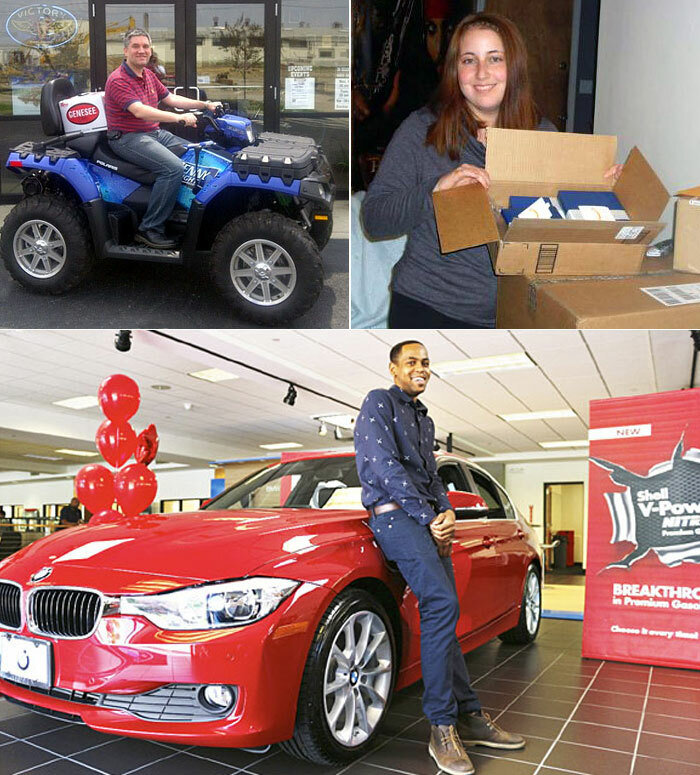 Do you want to learn more about the Sweepstakes Hobby and how to win? Thank you for stopping by SweetiesSweeps.com to learn more about the hobby of sweepstakes. You are probably here to learn how you can win cash and prizes by entering sweepstakes. You may have heard about other people winning and now you want to get in on the fun. Do REAL People Win these Sweepstakes? You may be wondering if real people really win cash and prize just by entering sweepstakes and the answer is a definite YES! I have been entering sweepstakes since 1990 and I still win prizes almost weekly to this very day. I have won cars, cash, trips, computer, free groceries, jewelry, gift cards and lots more. While there are definitely some sweepstakes scam out there, there are also thousands of legitimate sweepstakes going on at any one time. 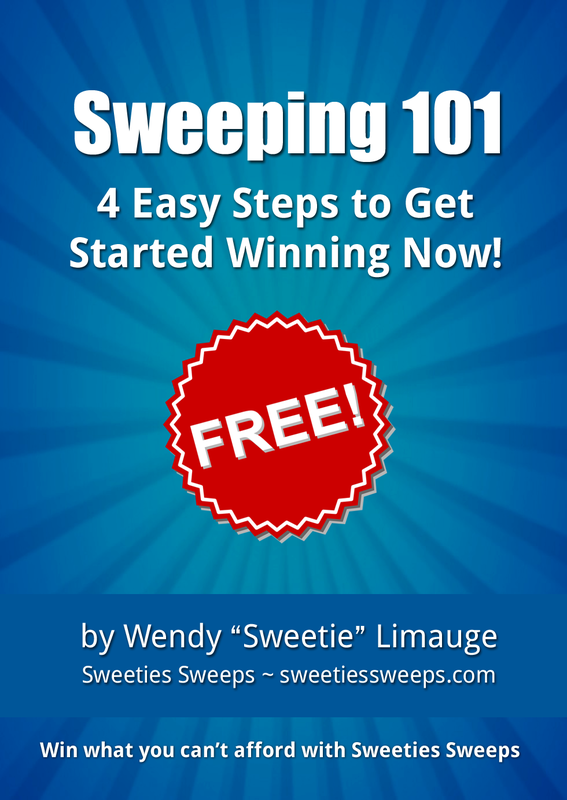 Click Here to download the Free Sweeping 101 eBook now. Want to win even more cash and prizes? Join the thousands of people who are a part of Sweeties Secret Community. Enter for your chance to win a $350 Shopping Spree from Estee Lauder. A new winner each month! Martha Stewart has ongoing, daily giveaways. Visit the website and enter today’s giveaway. Parents Magazine has ongoing, daily giveaways. Visit the website and enter today’s giveaway. Better Homes & Gardens magazine has ongoing, daily giveaways. Visit the website and enter today’s giveaway. Enter local sweepstakes for your state so you can win cars, cash, computer, tablets, smartphones, gift cards, trips, cruises, and lots more! Sweeties members are winning everyday and so can you! Once you find legitimate sweepstakes to enter (see below) be sure you fill out each entry form completely with your real name and real address. If you win a prize and you give them fake information you may not receive your prize. Many companies send prizes without contacting you first. If you don’t want to use your personal email address, sign up for an email address you can use just to enter sweepstakes. There are lots of Free email providers but my favorite is Gmail. Google let’s you sign up for a real phone number and it’s Free!